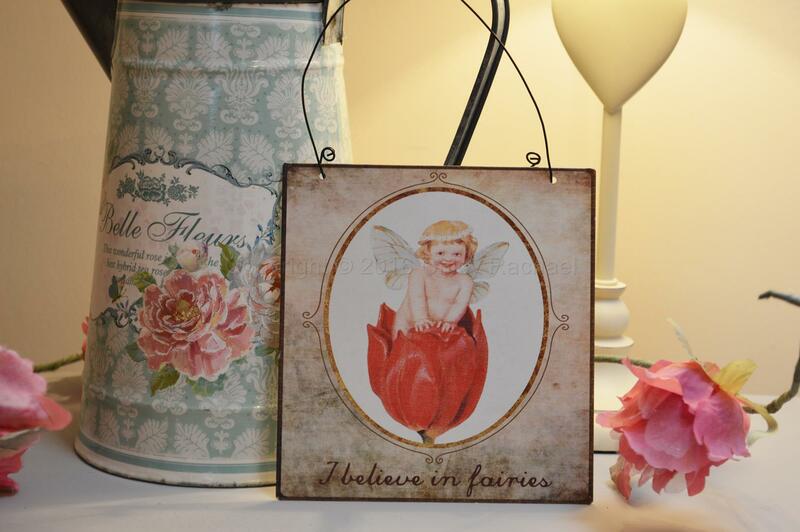 This is an enchanting vintage style fairy themed hanging metal sign. 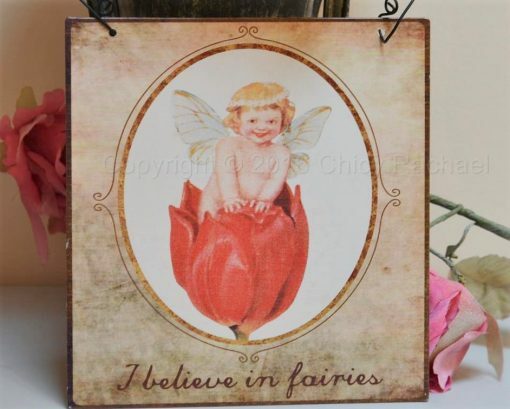 It has a beautiful illustrated fairy child popping out of a Tulip, underneath it has the quote “I Believe In Fairies”. It has a thin black wire for hanging. This lovely metal sign would be great in any room bringing some fairy magic. A perfect gift for any fairy lover.